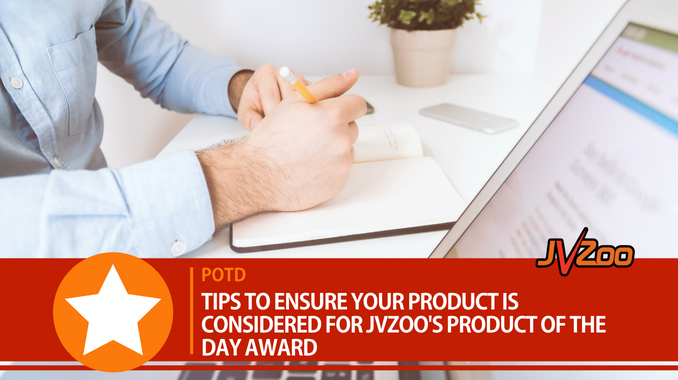 On a daily basis at JVZoo, our team members are asked, “How do we get JVZoo’s Product of the Day (POTD) award?”. After speaking to Users and listening to their suggestions, we’ve decided to give you 3 tips so you have the best possible chance of achieving this accolade. Please note the following guidelines do not guarantee you POTD. These hints and tips simply ensure your product is actually eligible and will be fully considered in our decision making process. First and foremost, at JVZoo we believe firmly in ensuring the integrity of all products listed on our platform and/or those that include our buy buttons. This means strict adherence to FTC regulations for the protection of both you and your buyers. Certain terms and phrases are either not allowed or are frowned upon on sales pages by FTC. These “red flag” words require JVZoo, as the platform, to take action and ask our Users to either remove the words or to confirm their understanding of how the FTC governs these words and also to agree their use of the word(s) is compliant. To learn more about FTC Guidelines: https://www.ftc.gov/. Second, ensure you’ve made your product eligible for consideration by checking the POTD box on your product edit page within JVZoo. Third, listing your product exclusively on JVZoo during your launch period will ensure you are better positioned to receive POTD. Finally, another great tip is to ensure you are running a live contest utilizing our affiliate contest tool. JVZoo does not partake in any contest; we won’t even put ourselves on the leaderboard. However, we love to see this tool utilized and watch the amazing marketing skills shown by our Users in order to take a top prize. We’ve seen top prizes of $30K won by Affiliates! Healthy competition puts a lot of fun into these launches, and we love to see this, even if we don’t take part in it.